The excellent ThaiVisa.com discussion forum reposts a 2004 Associated Press article about visiting prisoners in Bang Kwang, the infamous high security Thai prison nicknamed “the Bangkok Hilton”. 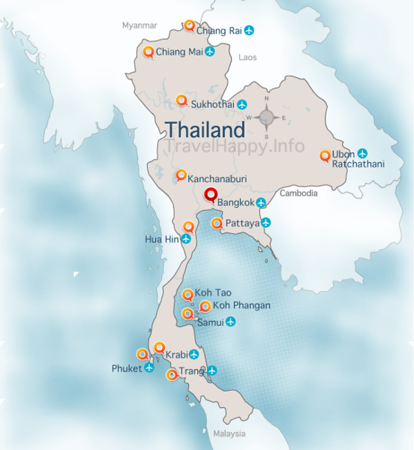 This is where numerous foreign prisoners serve out extremely long prison sentences, having been caught trying to smuggle drugs and fallen foul of Thailand’s strict anti-drug laws. While at first it might be hard to feel sympathy for these convicted criminals, an increasing amount of travellers are paying visits to the prison to lend a bit of moral support and take some much-needed food and books from home to help the prisoners. While some spend their whole time gawping at the prisoners and their surroundings, which the inmates refer to as “banana visits” as it makes them feel like monkeys at a zoo, other travellers genuinely try to help: some have made repeated visits and continued to send letters and care packages after returning home. It’s certainly worth reading the article and also visiting Bangkwang.net, which provides in-depth info about the prison, its visiting procedures and the ways in which you can help. Bang Kwang has been the subject of prison memoirs The Damage Done and Forget You Had A Daughter and the Australian TV mini-series Bangkok Hilton, starring Nicole Kidman and Hugo Weaving. By way of contrast, you might also want to check out the book Marching Powder, about the drug smuggler Thomas McFadden who became a staple of the backpacker tour circuit whilst locked up in jail in Bolivia. You just couldn’t make this stuff up.